San Remo is offering three people the chance to take a friend to the Diamond Dinner, to be held in Adelaide on Monday 24 October. The Australian Diamonds (that’s the national netball team) are taking on the Silver Ferns on Wednesday 26 October and this is the fourth year in a row that San Remo has hosted a pre-match dinner. The menu has been designed by Adam Swanson, owner and executive chef of Zucca, at Holdfast Shores, and also a San Remo brand ambassador. With the twin themes of sport and pasta I’m sure it’s likely to be healthy and tasty (well, it will undoubtedly involve pasta so tasty is a given). If you want to attend, you will need to enter through the San Remo facebook page. 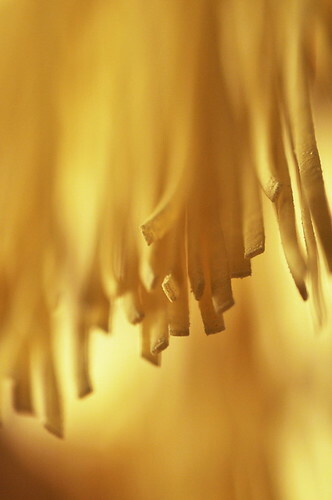 Submit your best pasta recipe by 11:59 am (AEST) on 2 October. The recipe has to use San Remo pasta AND has to be one you’d serve the Diamonds before a big match (so probably not your richest, creamiest carbonara …). Not only will you win dinner for two with the Diamonds, you’ll win a year’s supply of pasta, a San Remo cap and apron and a pasta pot. And, if you don’t live in South Australia … don’t despair, you can still enter because the prize for interstate winners includes airfares and accommodation. Do you need any more reasons to cook pasta this weekend?